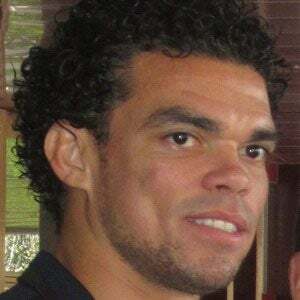 Defender commonly known as simply Pepe, he joined Real Madrid in 2007 after spending three years with Porto and became a member of Portugal's national team in 2007. He began his youth career with Corinthians-Al at age 12. He helped Real Madrid win La Liga Championships in 2008 and 2012. He was born in Maceio, Brazil. He began dating Ana Sofia Moreira. He became teammates with the great Cristiano Ronaldo on Portugal's national team and Real Madrid.